Hearthstone Game Director Ben Brode is one of the key faces for both Hearthstone and Blizzard as a whole, but after 15 years, he is leaving the company to embark on a new adventure. 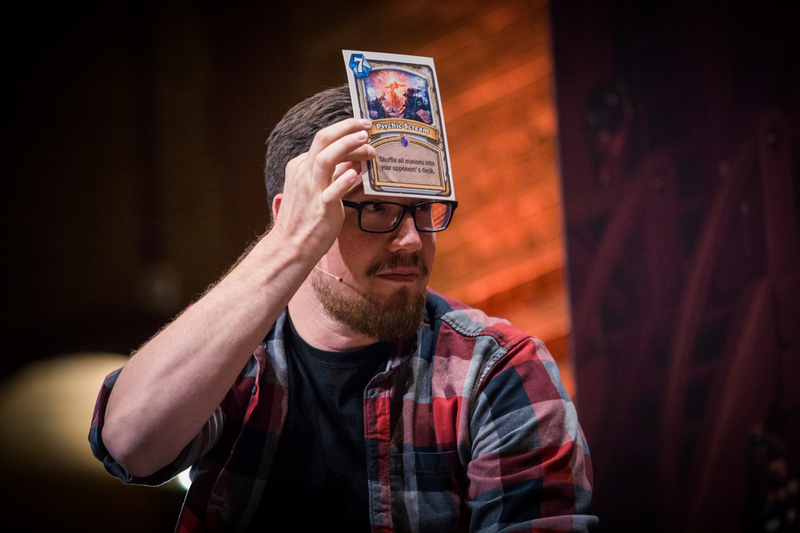 Hearthstone has been a part of Blizzard's lineup for nearly five years, but Game Director Ben Brode has been a constant presence at Blizzard even before the digital card game's inception. However, that will not be the case going forward. On Friday morning, Brode announced his departure from Blizzard after 15 years with the company. "After 15 years at Blizzard and almost 10 years working on Hearthstone, I have made the incredibly difficult decision to embark on a new journey," Brode said on the Blizzard forums. Brode was most recently seen helping to push Hearthstone's newest expansion, The Witchwood. Brode was also kind enough to join the Shacknews team at PAX East earlier this month to discuss the expansion and also geek out on some World of Warcraft lore with Greg Burke. Brode's future plans involve starting up a new company from scratch. No futher details were given beyond that, but in his goodbye post, he made sure to note that Hearthstone is in good hands. "I get too much credit by virtue of being a public face, but the 80+ people on the development team are still there, and they are the ones actually making the cards, brawls, events, missions, and features," Brode added. "I am confident the game is in the best possible hands, and I'm excited to see where a new generation of leaders takes Hearthstone from here. "I am very fortunate to be able to take a crazy risk right now in my life, and I'm excited to be scrappy and a little scared. I'm going to help start a new company. We’ll probably make games, but we haven't figured anything else out, yet. I'm looking forward to designing, programming, and actually creating things again. I'm going to miss the on-campus Starbucks, though. Dang." Somethings not right...You don't just leave a AAA game with a massive community, at a studio rated top 100 companies to work for. I'm thinking he has funding from a private investor, there's defiantly more to this than meets the eye.